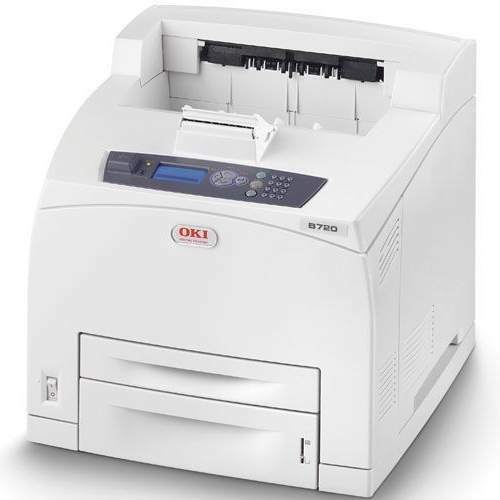 The Okidata B720 is a monochrome business printing solution that can work quickly at productive speeds of 45 pages per minute. The unit is a part of a series, which also includes the B720d, that comes with duplexing, and the B720dn, that has both duplexing and networking capabilities. While the base model is the most simplistic of the series, it's fast, affordable, and is still able to boost productivity for busy offices. This device has the feature set to handle medium to large offices, with up to 4 separate input trays that can store a total of 1,800 pages at single time. The unit also boasts a maximum monthly duty cycle of 200,000 pages and has a standard RAM of 128 MB that can be increased to 640 MB. The machine comes with a basic utility suite that includes features like Template Manager and a Status Monitor that tracks document progress and Oki B720 printer toner levels. Users are also provided with an intuitive control panel that has a 5-line LCD display and a navigation pad. The device has simple security technology that can limit access to documents by requiring a pin number to print. Although this is a robust and high-volume printer, it's relatively compact and can fit on a desktop for easy access. Text and graphic documents print with enough detail for use around the office, with a maximum resolution of 1200x1200 dpi using black Okidata B720 toner. 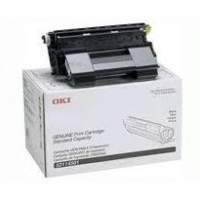 The unit's 15,000-sheet standard capacity Okidata B720 toner cartridge can yield enough to support busy offices. If this isn't enough, the optional high-capacity version can yield up to 20,000 pages for only a slightly higher price. 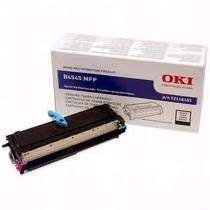 However, if users are more concerned with saving money they can purchase compatible Oki B720 toner cartridges instead of the more expensive OEM supplies. The B720 is an excellent productivity-enhancing laser printer, from its media handling and speeds, to its affordable high-capacity toners. Offices with heavy-duty printing demands will benefit from this efficient device.